When faced with heart-warming occasions, sometimes, it could be quite difficult for us to find the right words in order to express the gratitude that we sincerely feel inside to our loved ones. Be it a thank you note for coming to our party or our wedding, for giving us gifts, or even as simple as for being reliable in our times of need. Here are a few ideas you could use in your personal message or maybe even written on a card as an additional attachment on your wedding souvenir. 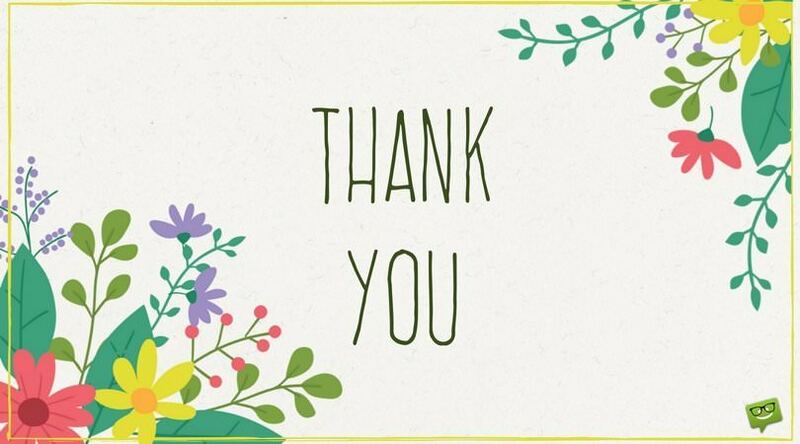 We hope this list of thank you messages could be deemed useful accordingly to your purposes or simply act to help with your thank you message ideas. I realize that the party is over, but I am totally sure that our friendship is still growing strong! Thank you so much for making time on my birthday, it wouldn’t have been the same without you there! Without you, my birthday would have been just the same as any other day in the calendar. Thank you so much for coming, and I hope you had fun! Thank you. It was an absolute pleasure seeing you at my birthday party, I was thrilled that you were able to come! Friends make parties worth attending, but best friends make parties worth remembering! 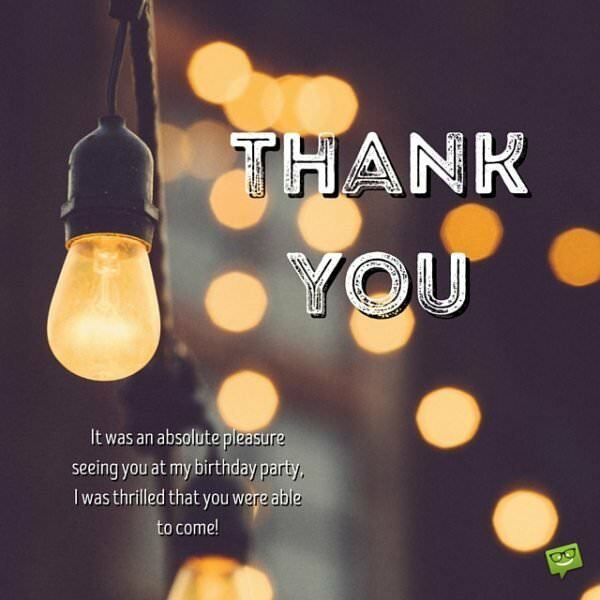 Thank you so much for coming to my party! It is true that the presence of the loved ones makes a party ten times wonderful. Thank you so much for celebrating my birthday with me, it wouldn’t have been a party without you! I had a real blast celebrating my birthday surrounded by my loved ones. 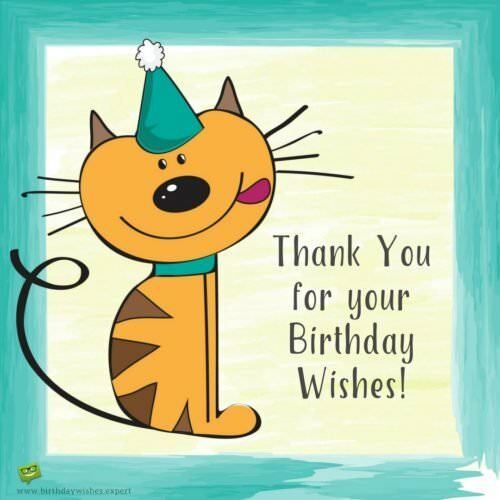 Thank you so much for being part of it! Your presence made a lot of difference and was heavily felt during the party. 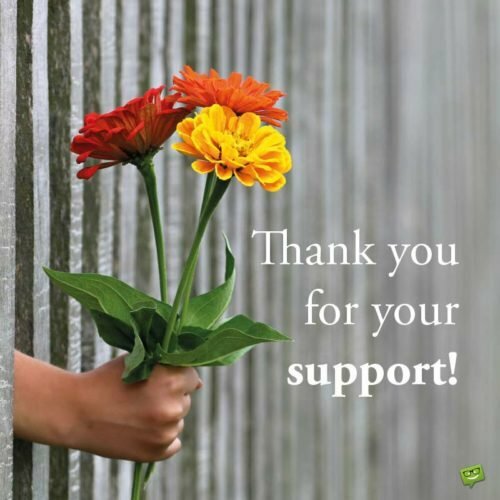 What I can I really do without your immense support? Even if no one else would show up, I was so certain that you will be there at my party, and that’s more than satisfying to me. And, indeed, you didn’t disappoint my assurance that you will be there. Thanks for always being there for me! Everyone said it was a great party. But, would it have been great without your presence? I definitely know the answer, which is why I’m saying a BIG THANK YOU! You were supposed to be out of town, but you made the sacrifice to delay a little longer just to be at my party. I really cannot thank you enough! A party is nothing and would be an empty show if your loved ones are not there. Thanks so much for coming, your presence made my party significant and satisfying. I wish there’s a better word to express how I truly feel that you honored my invitation regardless of your busy schedule. My heart is overwhelmed with gratitude. Thank you for making our wedding special! Thank you for attending our wedding and wishing us with the best hopes ever. Your presence truly made our day memorable. Thank you for the joyful spirit and the lovely gift you have brought with your presence at our wedding. To our dearest family and friends, it means the world to have you there with us. Thank you for your endless support, encouragement, and lots of love and laughter. But most of all, thank you for attending our wedding! Dear family, friends, and loved ones, thank you for sharing with us the sweet moments of our wedding day. 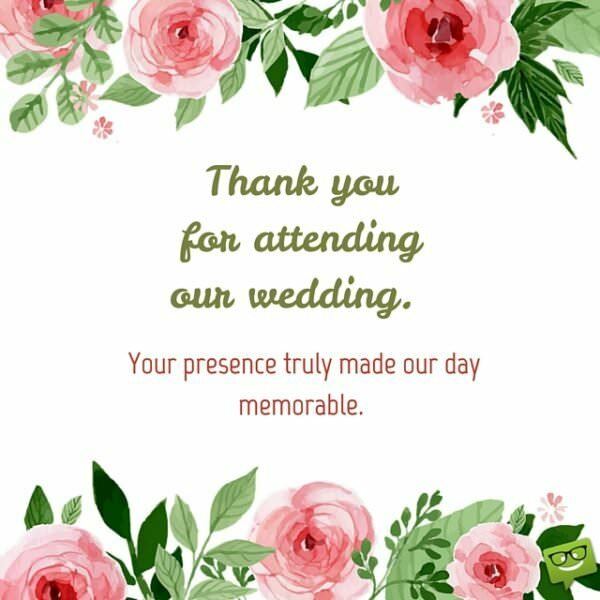 Your presence makes our wedding even merrier and memorable. Thank you for being witnesses of our new life together. We are forever grateful of your presence in our life. Thank you for making our special moment a true celebration of faith and love. We love you so much! Thank you for celebrating our joy, love, and happiness. 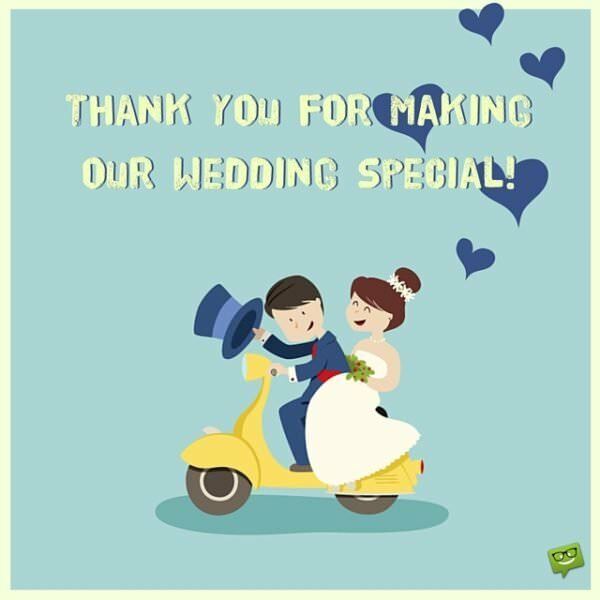 We sincerely appreciate your presence at our wedding, and we hope you had as much fun as we had! What kind of wedding would it has been if someone like you didn’t show up to witness the occasion and to give us moral support? It’s the reason I’m sincerely saying thank you for being our special guest. You didn’t just attend, you also brought a lovely wedding gift with you. The least I can do is to say a BIG THANK YOU! For coming to see us say ‘we do’ added to the excitement of the day. I truly appreciate your presence. When I sighted you at our wedding, my mouth twitched in smiles. That is because you are really important to me and I really wanted you to see us walking down the aisle to tie the wedding knots. I’m glad and grateful you came! Both your wedding gift and your lovely presence showed how generous you are. Thanks so much for coming. Seeing those that matter to you in an occasion as important as wedding makes the day even more fulfilling. I’m so happy and grateful that you attended our wedding. Thank you for such a thoughtful and beautiful gift. I love it a lot! Thank you for the gift and wishes you have given me on this special day, it makes me feel even more special! The celebration lasted for a day but your gift will always remind me of how lovely of a friend you are. Thank you so much! Receiving a lovely gift from a loved one is always heart-warming. Thank you so much! It appeared you had a thorough peep into my mind to know the gift I needed at this point in time. Your gift was truly timely and met a felt need. Thank you so much! You’ve got a great taste for gifts. It’s a cool gift that would always be endeared to to me. Thanks for your generosity! 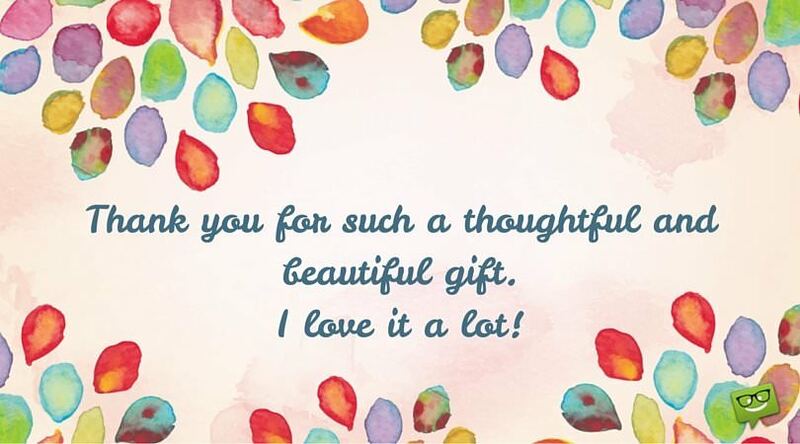 Gratitude is written all over me because of your thoughtful gift. You are truly kind and generous. I truly appreciate your gift. Wow! I’m short of words. You swept me off my feet with that lovely gift. Thank you very much. Your gift truly stood out among the rest. You gave it a lot of thought and ensured it portrays my personality! Thanks a lot for your thoughtful gift. You are a lifesaver! Your present came just at the nick of time, when all hope was almost lost. God must have placed such timely need-meeting gift in your heart! May God also answer you even while you’re yet to ask, amen! Your gift so much speaks of you being a special gift from God to me. I’m forever grateful to God for sending you to my life. Your presence was just enough for me, but you even went an extra-mile with your magnanimous present. I truly cannot measure the depth of your generous heart. I appreciate you and your gift greatly! It is very thoughtful of you to send me this lovely gift, it makes me so happy receiving it. Thank you so much! Thank you so much for the birthday present. It was the most thoughtful and lovely gift. I will use it carefully. Once again, many thanks! Thank you for being there when no one else was there. I wouldn’t be where I am today without all of the infinite love and support you provide. I want to thank you for always being there. Your presence has helped me to find my way. Thank you so much for your patience and caring. I couldn’t have gone through all the ups and downs without you. Thank you for staying by my side even though I could be the most difficult person at times. Thank you for standing by my side even when times get hard and for making me laugh when even smiling is difficult for me to do. Thank You! For standing by my side even when times get hard and for making me laugh when even smiling is difficult of me to do. I may not have every single thing I want in my life but I am very blessed with every single person I have in my life. Thank you so much for being there and always be reliable! Saying you’re a gift from heaven is the best way I can describe your presence and immense support in my life. I can’t ask for more, God gave me the best when he sent someone like you in my life. In good times and bad times, you are never found wanting by our side. Our family is so blessed to have you in our lives! Your ceaseless support, timely gifts, selfless help, and untold generosity, are all undeniable signs that you’re God sent to me! I love and cherish you greatly. I don’t know what I would have done without you. You’ve been there for me through thick and thin. There’s no word that can express how grateful I am for having you in my life. I can but only say, thank you very much. It’s the greatest feeling knowing for sure that I will always have a friend who is going to be there no matter what. 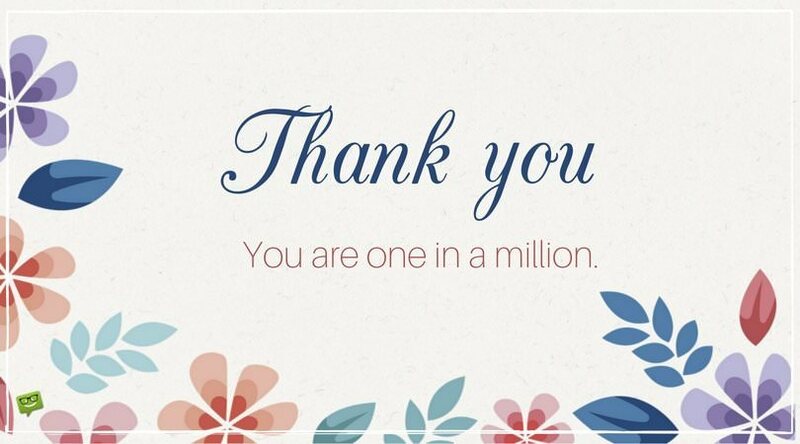 Thank you so much for being that person! 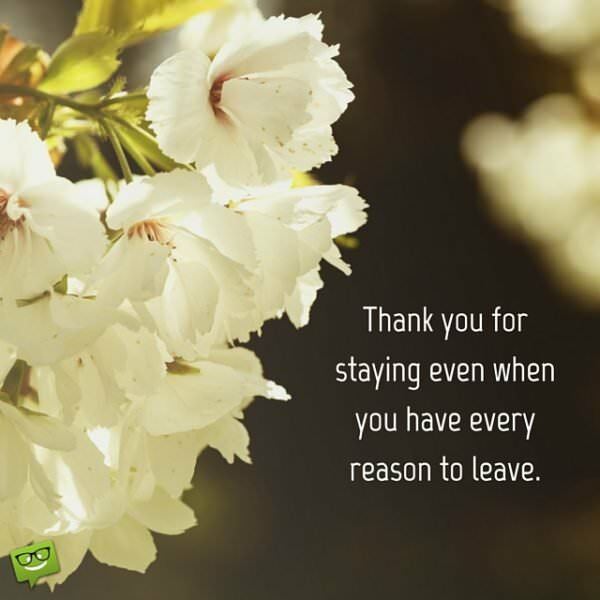 Thank you for staying even when you have every reason to leave. “It is better to give than to receive.” So, I don’t mind having more of those wonderful gifts you sent across. Thanks for your kindness, dear. With the rate you’re showering me with costly gifts, I’m likely to go bankrupt always looking for a commensurate and costly ‘thank you’ to give you in return. 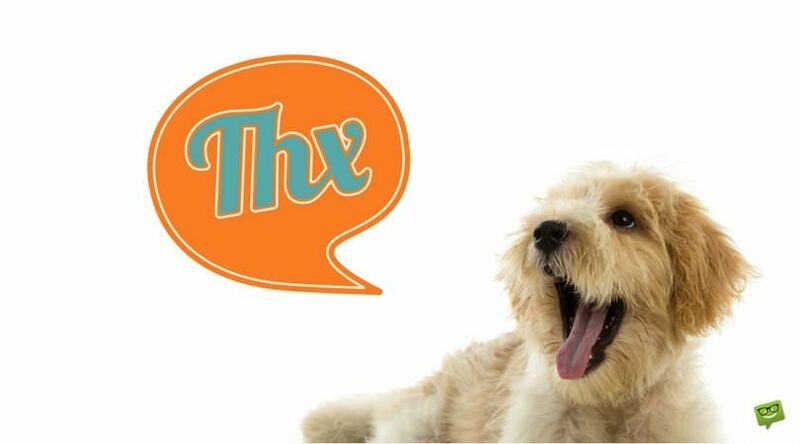 I’m sorry that I delayed saying thank you. All along, I was looking for the right size of thank you to match your size of gift… yet, I haven’t been able to find one up to this moment! Your kindness is simply overwhelming. I greatly appreciate it. You knocked me off my feet with your kind gesture. God bless you. What can I say… Thank you very much from the depth of my heart. No words will capture exactly how I feel about your gift. 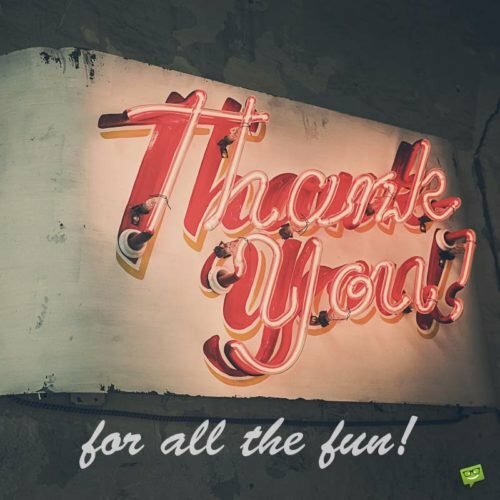 In return, I want to say a BIG THANK YOU! Thank you. You are one in a million. I can’t stop smiling heartily each time I think of your kind gesture. You are the best! I greatly treasure your thoughtfulness. It means so much to me. This may seem simple to you, but it means the most to me. I’m greatly honored. Wow! Thanks a lot. I was so pleasantly surprised! I’m speechless. But I need my voice back so that I can say “Thank you, a lot”! I cannot stop thanking you, from the depth of my heart. You are a God sent to me. I truly appreciate you. You’ve been a great blessing to me. Only God can pay you back fully. When I thought there’s no way out, you suddenly showed up as an angel right on time. You are simply God sent. Your help means much more than words can tell. Thanks a lot! My heart and mouth won’t stop appreciating and blessing you. You are truly a friend in need. Thanks so much. Thanks so much, for pitching in when I badly needed help! I don’t know how you do it; always sending in your help when it is most needed. I hope that, in return, life will always send help on your way even before a need arises. Thank you very much. How can I pay you back? Only God can, and He will load you with His blessings. If just 100 people would be like you, the world will be a better place for all to live in. You are the best. You climbed the high mountains just because of me. Your extraordinary sacrifice will remain indelible in my heart. To say that I am so grateful for your help is an understatement. I greatly appreciate you and I’m looking forward to paying you back.